We're making the conveyancing process simpler for property transfers. Get started with a fixed price quote. Why choose us for your property transfer? We're with you every step of the way for a property transfer. Legal mishaps can be avoided with legal advice from Conveyancing.com lawyers. Our team undertake all steps of completing the necessary legal documents. All steps of the property transfer are conducted online. Our team provides you with instant updates on the status of transfer documents. Conveyancing.com lawyers provide you with legal advice online, no matter your location. Valuable time is saved with all correspondence taking place online. Conveyancing lawyers review your documents online for faster completion. Faster response times between you and your conveyancing lawyer. We analyse and review all property transfer documents. Identify any issues with stamp duty and legal agreements. Legal advice provided for any potential issues with the transfer. An inspection can be booked to access the property's condition. We establish communication between both parties involved. 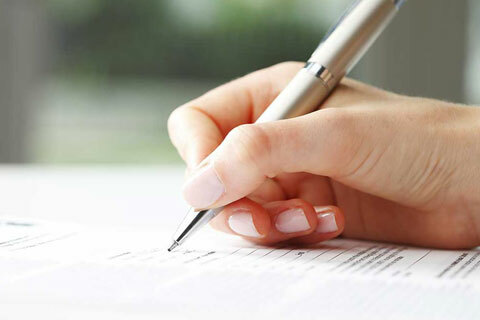 Updates are provided on the progress of document signings. Account details are confirmed for any financial transactions. Settlement date confirmed with you and the previous owner. Ownership status is confirmed on settlement day. We notify relevant authorities of the change in ownership. After a property transfer, if the purchaser is buying via private treaty, they will enjoy a cooling off period. During this period, a Conveyancing.com lawyer can provide you with any legal advice needed. If there are circumstances that necessitate the cancellation of the contract during the cooling off period, we can assist with the process. This cooling off period does not apply to a purchase at an auction. During the cooling off period, we can assist with arranging final inspections of the property including pest and building inspections. A financial application can also be completed at this time. The transfer of ownership officially takes place on settlement day. 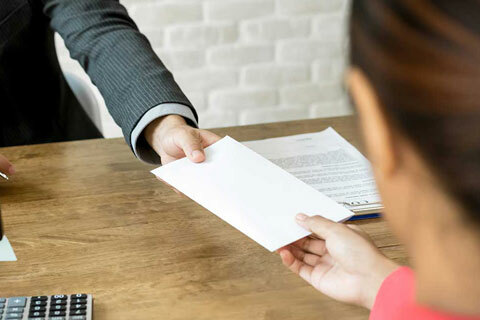 The length of time between the contract signing and settlement date can depend on a number of factors, and we can help to ensure these are managed effectively. The length of time taken to arrange and complete inspections is one factor. Financing is another factor and the buyer needs to finalise this before settlement day. The time span for completion of ‘off the plan’ purchases can be quite lengthy because the contract can only be finalised after the construction has been completed and new titles are issued. We will prepare the transfer document for the purchaser to sign. At this stage, stamp duty (also called transfer duty) must be paid before the document’s registration. The purchaser must arrange to pay their solicitor or conveyancer the stamp duty before settlement or arrange for this to be paid at settlement. We will arrange for the transfer document to be stamped before settlement. This ensures the purchaser can lodge the document for registration immediately after settlement. This step is often required by the purchaser’s financier so that they can promptly register the transfer and its mortgage. 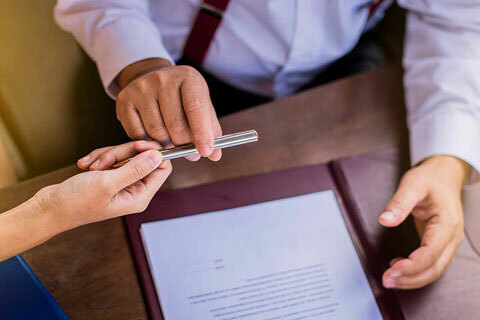 During the time between the purchase of the property and settlement, there is an exchange of formal questions and answers between both parties in relation to the document. We will undertake any further searches and enquiries to identify things such as any defects in title and unapproved construction on the property. In the lead up to settlement, the vendor’s mortgagee must be contacted to calculate the payout figure. Attendance must also be arranged at settlement to provide a discharge of mortgage and to hand across the title to the property. We will then make any necessary adjustments to the payout figure which are agreed by the vendor’s representative. Payment adjustments are part of the final settlement calculation for money to be paid across at settlement. We attend on settlement day along with the other party’s solicitor or conveyancer. The title documents are handed over in exchange for the final payment of the agreed purchase amount. If acting for the purchaser, we are responsible for stamping and lodging. 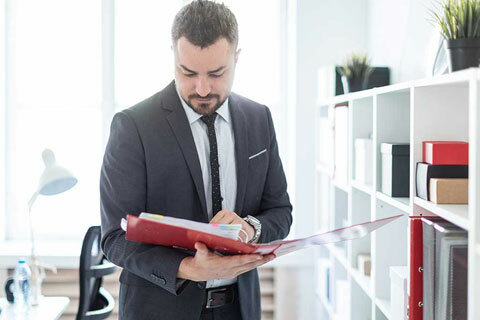 This process ensures the purchaser is registered as the new proprietor of the property, and that the property is free of any unwanted or unexpected issues. We then deal with the transfer of land to the state authorities and assist in the process of paying the stamp duty. The transfer is then stamped to confirm with the state revenue office that the duty has been paid in full. When the purchaser is taking out a mortgage, the mortgagee will take custody of all of the documents to be registered. The mortgagee will also stamp and register the documents on the purchaser’s behalf. This is done to ensure that the mortgage is registered on title at the same time as the purchaser is registered as the new proprietor. Start your property transfer today. Get a free quote on our conveyancing service. All Conveyancing.com lawyers have degrees in property law along with years of experience as legal practitioners. Our conveyancing lawyers can provide you with crucial legal advice every step of the way. All aspects of our conveyancing service can be conducted online for efficiency and convenience. We can provide fixed price quotes for all of our residential services and will advise you if any service extends beyond the initial fee offered. Some conveyancers only have a diploma in conveyancing with no qualifications in property law. Conveyancers are not allowed to offer you legal advice on any issues in regards to the transaction. Some conveyancing services may require more time consuming face-to-face meetings. Some conveyancers may advertise lower service prices but be wary of additional fees that may not be revealed until your transaction begins. What are the stamp duty implications of transferring to my partner? Spouses and domestic partners are exempt from Land Transfer Duty (Stamp Duty) on the condition that one party lives in the property as their principal place of residence. What are the stamp duty implications of transferring property to my offspring? All transfers of property that are not between to spouses or de facto partners will incur a stamp duty, including offspring. Preferably, the buyer and seller should use their own independent property lawyer or conveyancer to ensure no conflict of interest arises between the parties. What is a Section 27? A Section 27 is often referred to as an early Release of Deposit Authority. When purchasing property, the buyer is legally obligated to pay a deposit (usually 10% of the sale price). This deposit is usually held by the real estate agent, lawyer or conveyancer. Usually, the deposit is released to the vendor at the time of settlement. A Section 27 allows the purchaser to release the deposit to the vendor prior to settlement if both parties agree. This document gives the real estate agent, lawyer or conveyancer legal authority to release the deposit to the vendor. When should I contact a conveyancer for my property transfer? It's best to contact a conveyancer at the beginning of your property transaction. This allows us to provide you with expert legal guidance throughout the entire conveyancing process. A property transfer is one of the most important transactions of your life. Mistakes made during this transaction can be very costly in the long run. Solicitors and conveyancers in Victoria require different qualifications and levels of training. Solicitors are required to complete a Bachelor of Laws degree followed by a one-year Graduate Diploma in Legal Practice. Conveyancers are only required to complete an advanced diploma of conveyancing and 12 months of work experience. Conveyancers will typically charge less than lawyers for their services but be wary that they are not qualified to offer legal advice. So if your property transfer ends up in litigation before a court, a conveyancer will not be able to assist you. Conveyancing lawyers are experts in property law and will be able to represent your interests. Still have questions about the conveyancing process? We'll happily answer them for you.